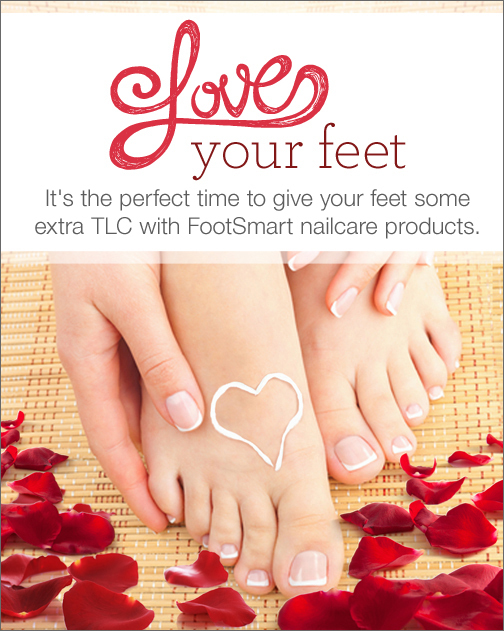 The Social Media Marketing Team requested a promotional advertisement for Facebook and Pinterest to encourage customers to shop FootSmart’s collection of nailcare products. The original image of the feet had a smiley face drawn in lotion. Since the concept was about loving your feet and the ads would drop the week of Valentine’s Day, I altered the image to create a heart instead. Since there was no offer, I was able to be more creative with how the copy was laid out due to Facebook ads requirements of less than 20% copy on the image.